I am currently running Marlin 1.1.8 on an Anet 1.0, one extruder (Stock for all electronics). I am upgrading (or sidegrading!) to an MKS GEN 1.4 with TMC2130 and graphics LCD. Is this a good Marlin Firmware to start with? Also, do we need cooling fins as shown on this page? Your first link isn't a 3d printer firmware, but some test code to demonstrate that the silentstepsticks work with arduino. The second one I'm not sure what it's for, but you don't need it. which has direct support for TMC2130 in it. Cool! That is what I am currently running. So after tinkering around and looking at plenty youtube videos (I think you have some as well, no? ), and tried few different firmwares, I am back at my original and tweaking it. 1) I am right now working on getting the MKS GEN 1.4 work with the RepRap Discount full graphics... I have nothing else connected to the board. 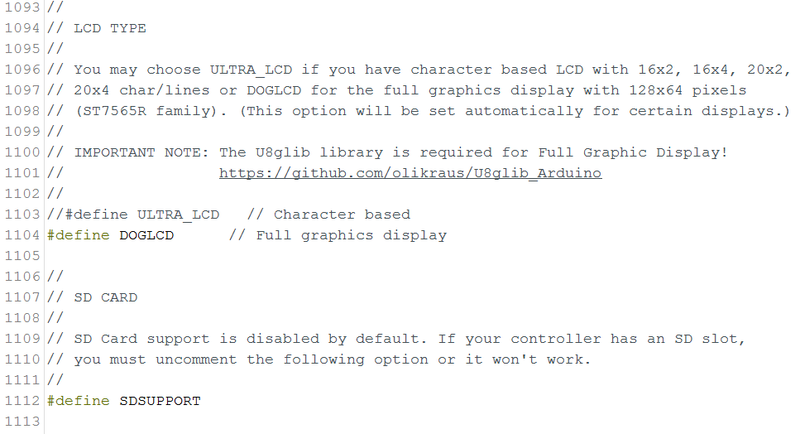 For getting the MKS and the LCD tweaked, I thought I only needed to choose the correct motherboard (33), comment and uncomment the correct LCD and add U8glib to the library, right? So far I only get a nice blue screen with a lighter blue frame around it... Wonder if it is because nothing is hooked up to the board? 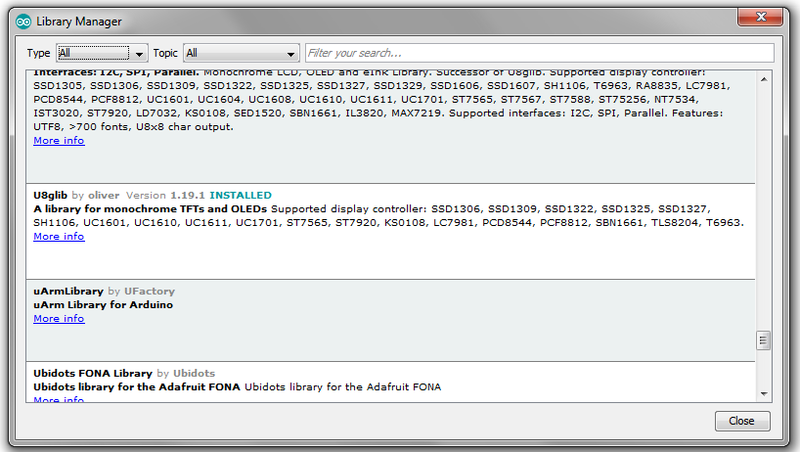 I "think" I installed the U8glib but when I go look in the Library Manager, I don't see it there... shouldn't it be there? Do you think this is the way the drivers go? I couldn't find a picture or what the pins mean... would it burn out if I turn on reversed? Again I found my own answer... found a video that showed the 2100... I already reversed the drivers and fired all up! Well, no real fire, so that's a plus. I have heat going to bed and extruder, got both fans and that's about it. Now I have to figure out how to make the TMCs work and the LCD! Maybe you can shed someone can shed some light over this way!? After getting the library installed the LCD is still not working? One more thing: Is it normal for the LCD to light up when printer is off and you connect the board to the USB on the laptop? It wasn't like that with the original Anet setup..
Yeah, the LCD and board gets powered by the USB cable when it's connected even if the power supply is turned off.